Accolades - | Pacifica Landscape Works Inc.
Best of Houzz 2017 Award for Design! Our portfolio was voted most popular by the Houzz community! Winner, Canadian National Award of Landscape Excellence, the highest honour in Canada! Best of Houzz 2016 Award for Design! Our portfolio was voted most popular by the Houzz community! 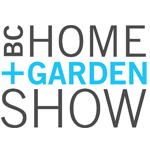 9-time BCLNA (British Columbia Landscape and Nursery Association) Landscape Award of Excellence Winner, including 2013! A Pacifica Landcape, designed by Michael Bjorge, was featured on Houzz, “Ten Outdoor Holiday Ideas You Can Scale Down and Borrow” for incorporating outdoor fire and warmth (2015). Best of Houzz 2015 Award for Design! Our portfolio was voted most popular by the Houzz community! Best of Houzz 2014 Award for service! Rated at the highest level of client satisfaction by the Houzz community! Kwantlen Polytechnic University Distinguished Alumni, 2009. Nominated and short-listed, CIBC’s Inspiration Awards, Entrepreneur of the Year, 2005. 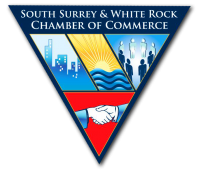 Awarded White Rock/South Surrey Chamber of Commerce, New Business of the Year, 2005. Award for feature garden display at the 2006 BC Place Home & Garden Show, February 26, 2006. 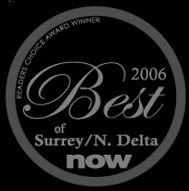 2006 Readers’ Choice Award for the Best Landscape Firm for Surrey, North Delta, The Now Newspaper, January 31, 2007. August 2006, a celebratory event in honour of Pacifica and crew by one of their commercial clients. The Summit Condominium in White Rock specially organized an event to celebrate a successful completion of the transformation of their condominium entrance. One of the top three finalists for the 2006 New Business of the Year, Surrey Board of Trade.